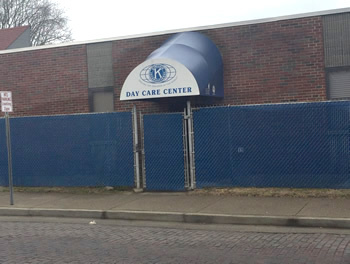 Welcome To Kiwanis Day Care Center! I wouldn't trust my children anywhere else! Listed below are some topics to help our families who are just starting with Kiwanis Day Care Center. Be sure to check out more information under the For Parents Section. Kiwanis Day Care Center does not discriminate against children on the basis of race, color, gender, or national origin. We encourage you to start by scheduling a tour of our Center. When you are ready to enroll your child, please complete a registration packet. Submit your completed packet with the $25 registration fee. We have a Sliding Scale Application if your family needs assistance offsetting the cost of childcare. Please complete the application and return it to the Center with your Enrollment Packet. Please note that all forms and required documentation must be completed and turned in before your child's first day of attendance. Kiwanis Day Care Center can only administer medications to your child with proper documentation from your doctor and parent. Please see the Director for the proper paperwork. When enrolling your child, please inform us of any special needs your child may have. We will do our best to accommodate these needs and work with you to find the best solution for your child. If our staff sees signs of a special need in your child after enrollment, we will notify you and work with you on next steps, if needed. Many new families are confused about where to enter the building. In an effort to make our facility as secure as possible, we ask everyone to use our main entrance located to the side of the building under the awning. You will be provided with a code for the entrance upon enrollment. If you do not have a code, please ring the doorbell and someone will assist you. The safety of our children and staff is a top priority at Kiwanis Day Care Center. To that end, we have implemented several procedures to keep everyone safe and comfortable. Security Cameras: Cameras are placed throughout our center's interior and exterior. Playground Privacy: We have installed privacy fencing around our outdoor playground. This fence allows our children to enjoy outdoor time while minimizing the view and interaction with those passing by on the street. We want your child's experience at our center to be positive and enjoyable. We ask that you keep appropriate items for your child in their assigned cubby at all times. For more information on individual age groups, click here. Please note that Kiwanis Day Care Center provides everything needed for nap time. Parents are not requried to provide these items. We discourage our children from bringing their personal toys to the center. Electronics are STRONGLY discouraged. If you have any questions or concerns, please stop by our office or e-mail us. We'll be happy to help. We understand that your child comes to us with unique experiences, interests and learning styles. Our goal is to truly know your child well and use this knowledge to guide, support and motivate him or her. We believe that good teaching requires continual professional development, personal reflection, and collaboration. We value parent involvement at every level and encourage you to partner with us to give your child the most powerful and joyous learning experience possible. Be sure to visit our Parent's page for more details about life at Kiwanis Day Care Center.